The Tampa Bay Rays departed Port Charlotte on Friday and now are headquartered back at Tropicana Field. 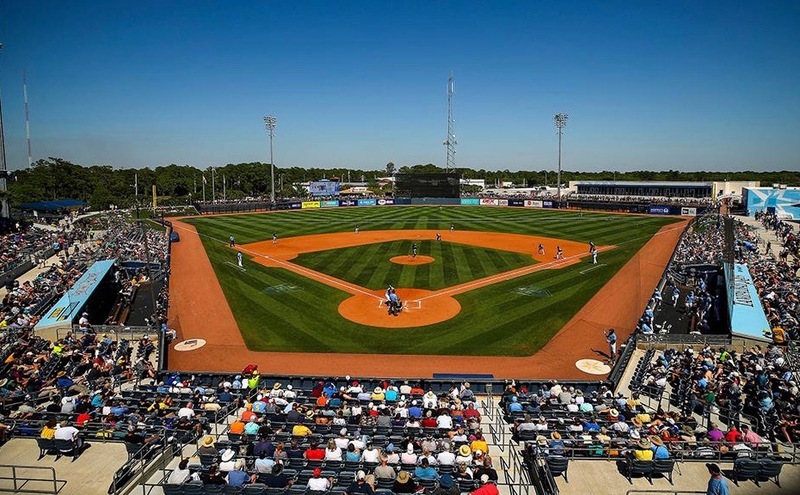 After a workout at the Trop on Sunday, the team will head back to North Port for a game against the Atlanta Braves to open their new facility. Yesterday, Tampa Bay fell 8-7 to the Tigers in Lakeland. However, both Tommy Pham and Ji-Man Choi had impressive days at the plate, combining to go 5-6 with two doubles, two home runs, and four runs batted in. Choi collected hits in all three of his plate appearances, and ended the day a triple shy of the cycle. The first baseman/designated hitter homered to left-center in the third inning off starter Jordan Zimmerman, pairing up with Tommy Pham for back-to-back homers. It was Pham’s first home run of the Spring. Pham told Neil Solondz (Rays Radio) he is looking to get a little sharper before Thursday. You can hear his interview below, courtesy of Rays Radio. Charlie Morton made his last start of the Spring. The right-hander was charged with four unearned runs in the first inning before he worked a scoreless second. Morton threw 27 of 41 pitches for strikes (66% strike rate) in his final tuneup for the regular season. All told, he gave up three hits, including a three-run double, walked one, and struck out three. Following his outing, Morton spoke about his mentality as Spring Training winds down. I had a few outings, I’ve made a couple in particular I can think of in the last couple of Spring Trainings that did really go very well at all and I’m thankful for that because … it’s nice to go out and pitch really well and breeze through it, but at the same time (like you said) it’s good to go out there and fail a little bit. …Pitch in a little higher pressure situations, men on second, men on third. You need to do that so it’s not a shock when you get into the season. Number three starter, Tyler Glasnow, will take the mound in his last Spring tuneup before the start of the regular season. He will pitch opposite of former Orioles hurler, Kevin Gausman. Jalen Beeks and Cole Sulser are also scheduled to pitch.